A unique moment from the legendary Jimmy Scott – a one-off album cut for Atlantic Records – recorded after his initial 50s fame, and decades before he'd finally get his due, much later in his life! 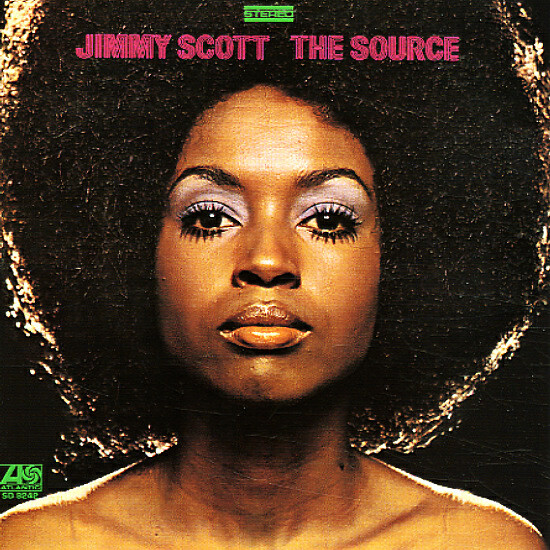 The album's got a style that's a bit more mature than Scott's initial sides – a bit more grown up in approach, even though Jimmy's still got that really unique light tone to his vocals – and arranged by Arif Mardin and William Fischer in a hip blend of jazz and strings – with a slow-moving vibe that's completely mesmerizing. The core instrumentation is by a group that includes Junior Mance on piano, Billy Butler on guitar, and Ron Carter on bass – and titles include "Our Day Will Come", "I Wish I Knew", "This Love Of Mine", and a very moody version of "Exodus". © 1996-2019, Dusty Groove, Inc.